We are constantly seeking new ways of telling a story through our design. HE Design Helsinki is a Helsinki based combination of two super creative Finnish designers pondering the mysteries of life. 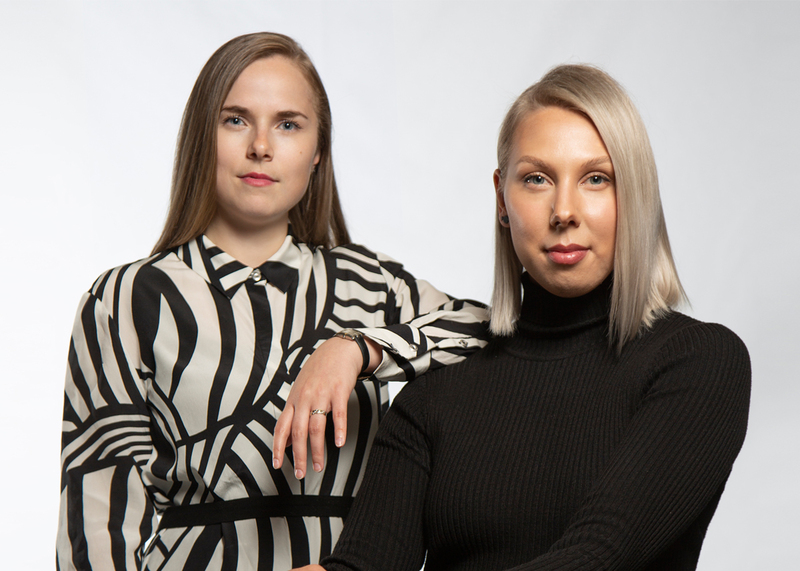 Heidi M. Huovinen and Elisa Luoto turn functional objects into an aesthetic value, driven by desire to improve the world around us by evoking imagination with everyday products. Heidi and Elisa together have a multi-faced style. But as Finnish interior architects and designers, Scandinavian simplicity in design plays a central role in all their work. Heidi is currently finishing her MA studies in Aalto University School of Arts, Design and Architecture. Elisa has graduated from Aalto University School of Arts, Design and Architecture.